Gymboree is getting ready for spring with hundreds of bright, new styles and fresh ideas—it’s a season full of possibilities. 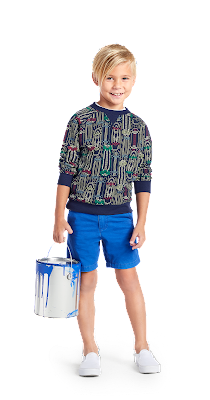 They are inspired by all the ways kids get creative, from putting their one-of-a-kind spin on an outfit to telling a funny story to painting their own masterpiece. 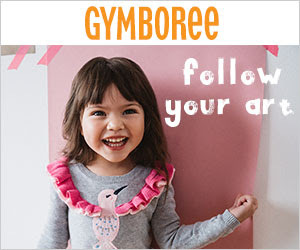 Gymboree wants to know what inspires you and your family. What do your kids want to create this spring? Because it’s the perfect time to #followyourart. Gymboree makes quality clothes for every kid and every moment. For crawling babies, dressed-up toddlers and 2nd grade field trippers. For the best days and the oh-so-busy ones. 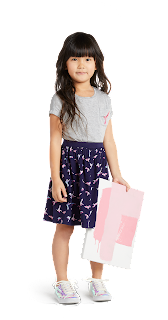 Their clothes let kids be kids in comfy styles that are easy to wear, from play-ready dresses and rompers for girls, to soft tees and tops for boys, to sweet essentials for newborns. Gymboree is big on little details. Because a sprinkle of sparkle here and an appliqué there have been known to spread happiness. They have a wide selection of kids clothing that sticks around long enough to be handed down and sale events that keep piggy banks smiling. With Gymboree, it’s quality time, all the time. I kind of miss those days of shopping for spring clothing for the kids. When we have kids, it will be so interesting to see what inspires them as they get older. Hopefully it's their daddy because my husband is one of the most inspiring people I know! Aw these are some absolutely adorable kids clothing ideas. It's always interesting to see what kids want to be when they are older. Love Gymboree! Buy it a lot for my nieces. Really cute clothes! Where was Gymboree when I was a child. I love there kiddie clothing. These all are really nice. I wish they made kid style adult clothes! I love this clothes line! I am always looking for new brands with great quality for my daughters clothes! I have always like gymboree clothing. My daughter loves them as well. Thanks for sharing information about this campaign. Well, thanks to your blog, I just looked through their little boys clothes and found a handful of items I just need to get for my boys! Thank you!